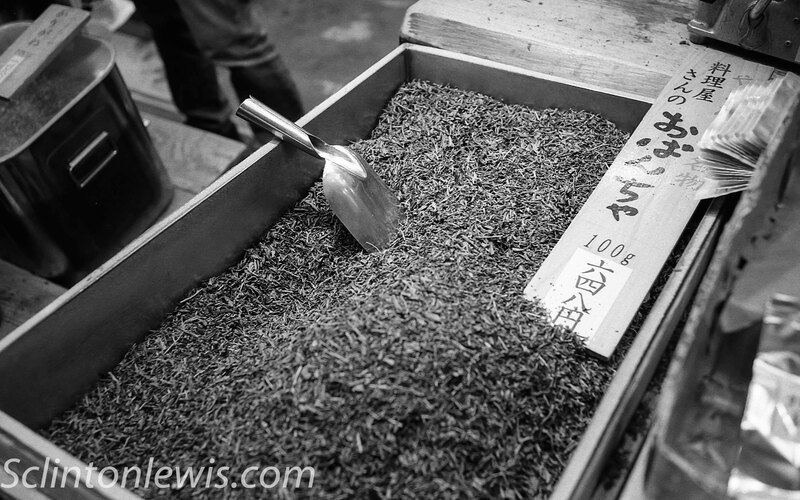 The past two times that I went to Kyoto and went through Nishiki Market I would stop at the one stall that sold tea. I happened to get some Roasted green tea this time, Hojicha, and it is definitely tasty. I also have gotten their green tea with roasted rice. I took a quick picture of this box full of the roasted tea leaves. It looked and smelled wonderful as he scooped up and filled a bag for me to take back home to the states. This entry was posted in film, ilford, japan, monochrome, street photography and tagged hexar, ilford, japan, kyoto, monochrome. Bookmark the permalink.